The team's hopeful it can do this again some time. 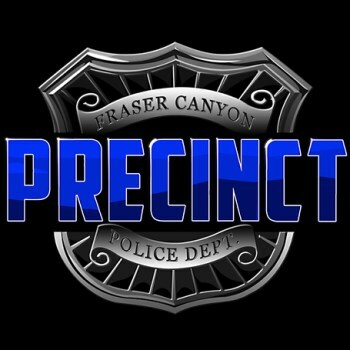 Precinct, the police procedural based on the Police Quest series of Sierra fame, is no more; it has expired and ceased to be; it is an ex crowdfunder. Jim Walls, the man behind the original series, and some Sierra veterans took the project to Kickstarter a while back but discovered that it wasn't as simple as they'd hoped to get funding that way. So Precinct shut down its Kickstarter and opened up its own crowdfunder, but managed to raise less than 10% of the $400,000 ask. The Precinct team has shut down this second funding effort, thanked its fans, and hopes it can try again someday. "We're fighters and fought our best," say the Precinct team. "Unfortunately, our best wasn't good enough to overcome the challenges with crowdfunding Precinct." Under the terms of the scheme, backers weren't to be charged for their pledge until the campaign reached $25,000, the proof of concept stage. At time of closure it had only raised $11,956, so nobody's out of pocket. The Kickstarter had been slightly more successful, raising about $17% of the ask, but it's clear that the appetite just isn't there for a revived Police Quest. "The backing community are wonderfully supportive of Jim Walls making a new game," say the Precinct team. "Likewise, our team remains passionate about Precinct and are hopeful there is a way to make Precinct a reality in the future."